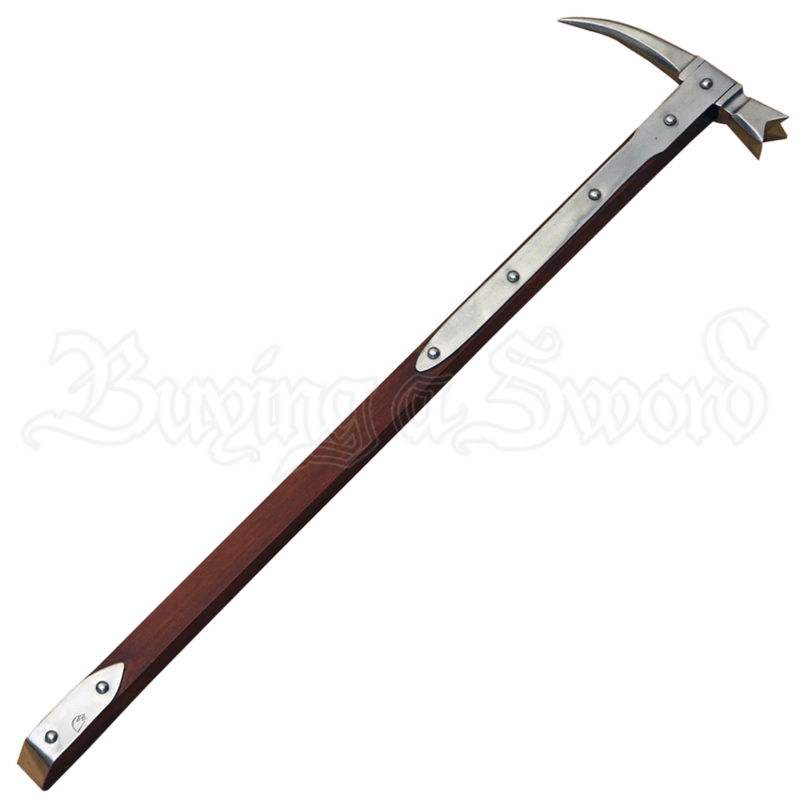 As armor got better and better, blades became less and less effective, although weapons like this Foot Soldier's War Hammer remained, being extremely effective against armored and unarmored foes, as the hammer delivered considerable impact either way. Medieval war hammers like this were designed to deliver a heavy impact, one that would be felt whether you were wearing armor or not. This hammer features a small, square hammer head that is designed to concentrate all of the weapons force onto a tiny area, increasing its impact considerably. The reversed side of the war hammer features a jagged spike, which means that when flipped around, the hammer looks fully capable of piercing through mail (and perhaps even plate, with enough force). The hammers haft is squared and plated with lengths of metal that reach roughly three-fourths of the way down the haft, before stopping to provide a place for the warrior to wield the hammer. The haft ends with an angled cut, again, reinforced with strips of metal. The hammer has an overall length of 30 inches. Are you worried about armored foes giving you a problem? 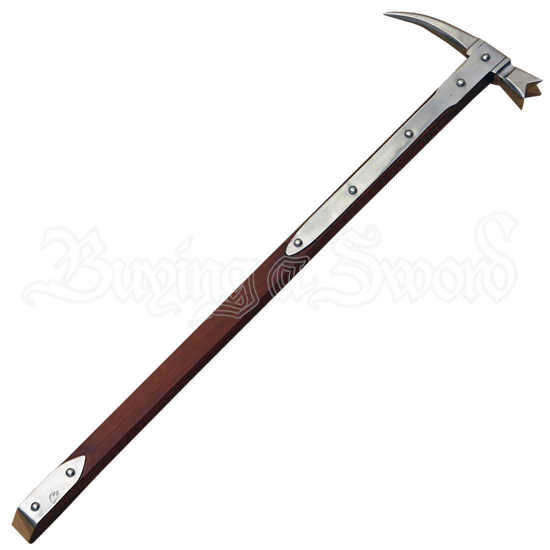 Take along this Foot Soldiers War Hammer to make even the most heavily armored enemies think twice about challenging you, and when you are not practicing with in the yard, you can set it up for display in your own humble abode as a tribute to medieval times. Very happy with the constuction. Came out of box in excellent condition well wrapped. Was a little oily around the metal but cleaned up easily with simple green. Light weight with a great feel. Wood on the light side for my taste but will darken with oil and usage. Great item!